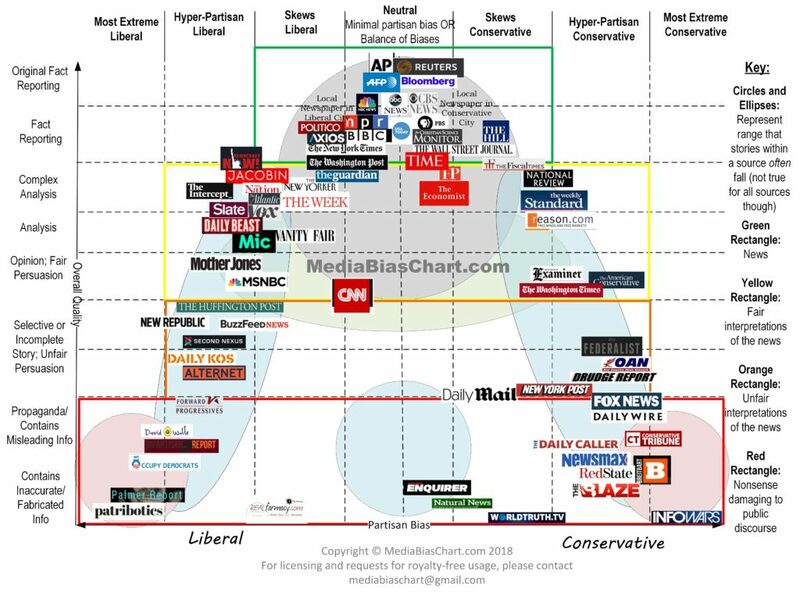 How biased is your favourite news source? A while back, I posted Vanessa Ortero’s Media Chart. A new chart has been made that is even more detailed. Just the other day, I was listening to a pastor casually commenting on social issues, and underlying all his comments was the foundational belief that being Christian goes hand in hand with being conservative. I have been uncomfortable with this attitude since I was in high school and have been arguing that on some issues, Christians ought to find themselves agreeing with the liberal positions. I was recently introduced to the work of Dr. Barry Johnson. I think he has provided me a way of communicating the dangers of believing that to be Christian is to be conservative or, if you want, Republican. Johnson says that there are two basic kinds of arguments we find ourselves in. There’s the kind where either you are right or you are wrong. Let’s call these either/or disagreements. In these instances, the purpose of the argument is to establish who is right and who is wrong. Theoretically, these arguments are resolved once the truth is established. Sometimes we get into arguments where there isn’t a right or wrong answer–both/and disagreements. Is social media good or is social media bad? Shall we save or shall we spend? Is it better to development or to preservation? It is vitally important that people understand which sort of discussion they are in. When you think you are in an either/or argument, but it’s really a both/and disagreement, you are essentially arguing that inhaling is better than exhaling. If there is no right answer and people are really passionate about their position, how can we possibly navigate through this minefield? Barry Johnson has come up with a useful tool he calls it Polarity Management. Let me use the question, Liberal or Conservative? to illustrate how it works. I know many people will disagree with me here, but this question has no clear right or wrong answer. It is a both/and discussion that many have made into an either/or argument. I’ve placed the Christian view of this question, as I see it, into Johnson’s Polarity Management model. The questions we want to address with the model is, “Liberal or Conservative? How can Christians best be the salt of the world?” So in Johnson’s model we put the two neutral terms on the wings. Christ told us to be salt in the world; he told us that we are to season, preserve and heal the world. He also said that if we aren’t salt, we would be cast before swine. Serious stuff. On the model I have placed where we are headed, the “Higher Purpose” above and at the bottom, the “Deeper Fear,” or what lies in the opposite direction of the higher purpose. All Christians, both liberal and conservative, have the same higher purpose and the same deeper fear. The boxes just above the neutral terms describe the positive side of both options respectively. On the liberal side we have collective responsibility and individual rights. These are good things. When Jesus calls us to be salt, he means that we must do what the law and the prophets have always told us to do: take care of the vulnerable. In Biblical times, this was the stranger, the widow and the orphan. If you translate this into contemporary terms it means we take care of the immigrant, the refugee, and the poor, for they are the vulnerable in our society. This collective responsibility is a Biblical injunction, and if we don’t do it we are in danger of being cast before swine. The reason we take care of the vulnerable is because of the Biblical view of humanity–everyone bears the Image of God. The poor and the refugee are dear to God. The liberal principle for the protection of individual rights comes right out of image bearing as well, so all Christians ought to be very interested in the protection of individual rights. These liberal principles are, then, biblical; they advocates loving one’s neighbour. The liberal position also takes into account the Fallenness of humanity; they predict we will naturally be selfish and so advocate the use of government to ensure that our neighbours are loved. Conservative ideals are also aimed toward saltiness. Biblically, human freedom and individual responsibility are probably as foundational as bearing God’s image. These conservative principles are also based on true understanding of the human condition, we are good, but fallen. The lower boxes illustrate the “downside” of over-focusing on one pole to the neglect of the other. If we neglect the good that we find in the conservative position we may end up in a bad place–as conservatives are very willing to point out. But if we neglect the liberal ideals we, as Christians, will also lose our saltiness and end up in the eternal pig pen. What we have, both in the culture at large and in the church, are people on both side of the political spectrum treating the argument as an either/or. They fail to realize that their political opponents have an equally valid, alternate view of reality. They accept the principle that if I am right, the one who disagrees with me is necessarily wrong. Consequently, there is disunity in the church. The first step to unity would involve understanding the legitimacy of the opponents position, but this is impossible when one is locked in the polarity paradigm. So they resist. Both sides have an equally valid, alternate view of reality. In a true either/or argument, clarity is an asset–once things are clear, we will be in agreement. In a both/and argument, simply communicating your position clearly will not result in your opponent changing their mind because it will be clearer to them that you are missing what’s right in front of you–their reality–and they are not wrong. For Christians to be salt and light in the political sphere, they will have to abandon rigid adherence to just one side of the political spectrum. They will have to see that there are two legitimate–biblical–realities at play here. The conservative Christians need to adhere to the positives of conservatism, but they also need to respond with grace and generousity toward the liberal reality, even the negatives, for by doing so, they may also gain the benefits of that position. In possession of the strengths of both sides, the Christian impact on the world is potentially far saltier than we currently are.